The buds of alder and poplar composing Sanogem contribute to hindering the development of germs. This complex is particularly recommended to protect against external aggression. Sanogem is an association of alder and poplar buds. The two buds are the main plant sources of propolis and they are also known to help curb the development of germs. Bees collect for the production of their propolis, almost exclusively resins poplar and alder buds, rich in flavonoids. This has among other propolis for bees hygienic role in creating the hive a protective layer against microbial or fungal invasions. 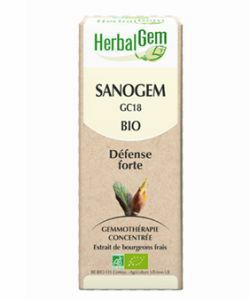 Sanogem gemmotherapy is a concentrated complex to be used in treatment of attack (10 drops 3 times a day) when your body is showing signs of weakening. 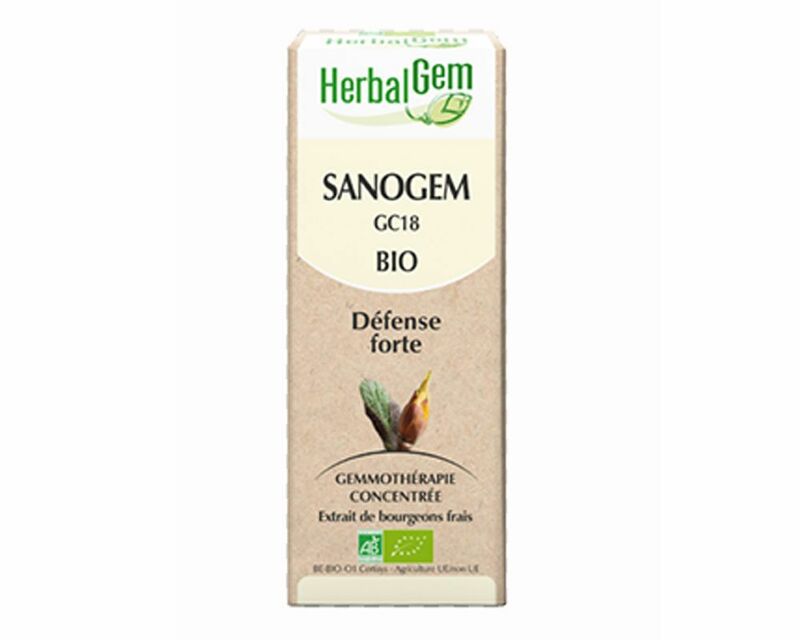 Sanogem can also be used preventively (10 drops 1 time per day) or in combination with other Herbalgem products processing bottom.The Sanogem complex can be recommended to all, including children, pregnant and allergic to auxpersonnes Propolis. poplar and alder buds. (Alcohol 35%) .